Neuropathy of the foot is a common problem that is faced by diabetics and the best shoes for neuropathy are important to help them protect their feet, and also to reduce pain in the foot. Shoes that offer the level of comfort with cushioning in the right places, removable insoles that can be replaced with orthotics will help to lessen the pain in the feet for diabetics and people with peripheral neuropathic pain can be caused by various issues. View the Best Shoes for Neuropathy, Below. What are the Best Shoes for Foot Pain? What is the Difference Between Neuropathy Shoes and Regular Shoes? Can you get Neuropathy Shoe Inserts? Support is also a very important aspect of any footwear you choose, along with footwear items that fit snugly and gives your feet and toes plenty of room to move in. We take a look at the various options on the market that will help you cope with foot neuropathic pain. We look at the fit of the footwear, the support it offers, the comfort and durability as well as the materials they are made from to ensure breathability which is very important. Classically crafted shoes that provide all the qualities that are needed for people who suffer from foot ailments including neuropathy. Made from Lycra these shoes are lightweight and can stretch to accommodate your feet even if they tend to swell during the day. The Velcro closure allows for flexibility with its two-way closure. The shoes have been specifically designed to accommodate any foot deformities, including bunions and hammertoes. Featuring a padded heel counter and padded tongue, both designed to reduce irritation, improve fit and the heel counter is firm to add support. Click, for other supportive, and non-slip shoes. The protective toe box will reduce the chance of injuring your toes and the lightweight construction of the shoes are designed to reduce fatigue. The outer sole is both durable and lightweight as well as being non-skid in design. 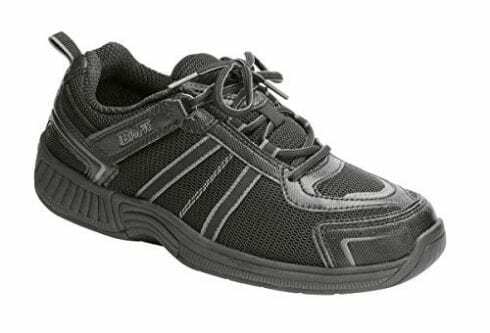 Therapeutic shoes that can accommodate internal braces and AFO’s it is perfect for those that also suffer from edema in the foot. The shoes are double-depth so that no matter how enlarged your foot or ankles get the shoes can accommodate you. It is machine washable and it will hold its shape after washing. Therapeutic shoes designed for those suffering from peripheral neuropathy amongst other foot ailments. The firm heel counter, padded tongue and heel counter, protective toe-box and double-depth roomy fit all add up to footwear that will offer you the support and comfort needed along with a durable skid-resistant outsole. Orthofeet Gramercy is designed not only to be stylish dress shoes for any occasion, it offers everything you need in footwear to help with different foot ailments from bunions to hammertoes and peripheral neuropathy. The uppers are leather and non-binding with extra depth to accommodate wider feet and those with bunions. The gel padded heel-seat will conform to the contours of your feet and offer optimal comfort and relief from the foot and heel all the way to the knees and lower back. Air cushioning on the sole softens your steps and the ergonomic-stride design helps your foot to have natural motion along with stability. The insole of the shoes offers anatomical arch support to alleviate pain while the seam-free interior lining, with foam padding, will protect pressure points and give you a soft feel perfect for those with rheumatoid arthritis or sensitive feet. These shoes combine a number of qualities to ensure that you get the great features of neuropathy, plantar fasciitis, metatarsalgia, knee pain, back pain, heel pain and more. 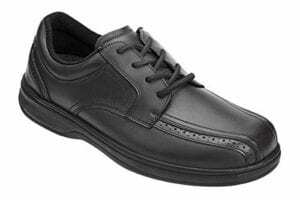 A great looking shoes that offer quality engineering and is perfect for the work environment for people who suffer from foot ailments. Footwear for any occasion, it is stylish and offers the comfort you need when suffering from neuropathy of the foot with a gel padded heel seat, air cushioning insole, ergonomic-stride design and anatomical arch support, you will not find a more supportive and comfortable footwear that is engineered to help people who suffer from various foot ailments. 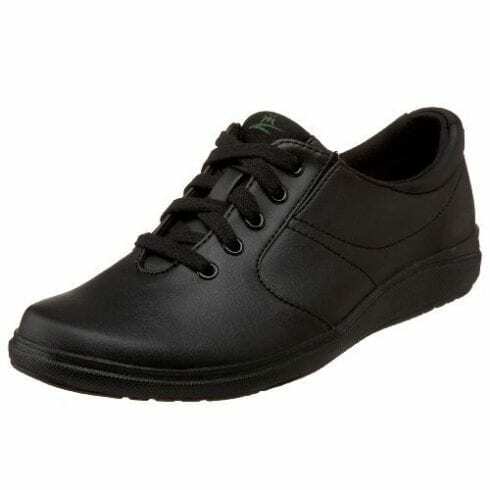 A great lace-up sneaker styled footwear that offers the protection, comfort, and support that you require when suffering from neuropathy of the foot and other foot ailments such as bunions and hammer toes. APMA-approved lace closure and PureFit adjustability, ensure that the sneaker will fit perfectly every time which is a necessity when you suffer from sore painful feet, foot neuropathy, bunions and hammer toes. This sneaker features comfort cushioning and arch support ortholite sockliner for the perfect fit and moisture wicking and odor control. Anti-microbial attributes aid in avoiding any kind of foot issues derived from bacterial infections. The memory foam inserts are slow recovery impressions with a stretch smooth vegan leather upper. The Drilex wicking lining will ensure your foot stays cool and dry throughout the day and the rounded heels will help to decrease jarring on your knees. The heel and collar of the sneaker have additional padding and the outsole is very flexible. The footbed itself is removable so you can replace it with orthotics if necessary. A sneaker that offers a host of features to ensure those suffering from foot neuropathy, bunions, hammer toes and other ailments can be comfortable all day long. Arch support, PureFit adjustability, anti-microbial attributes and Drilex wicking lining all add to the support and comfort of the sneaker along with a leather upper and removable footbed. The anatomical arch support and gel padded heel seat of this sneaker ensure that it conforms to the shape of your foot keeping it secure and comfortable all day long. A lightweight sole which features air cushioning will soften your step and the ergonomic stride design gives you the stability you need and enhances your foot's ability to move naturally. The extra depth design of the footwear which features a wide toe box will limit the pressure that is placed on bunions and hammer toes. The internal lining is padded to protect the feet from pressure points causing pain and discomfort. 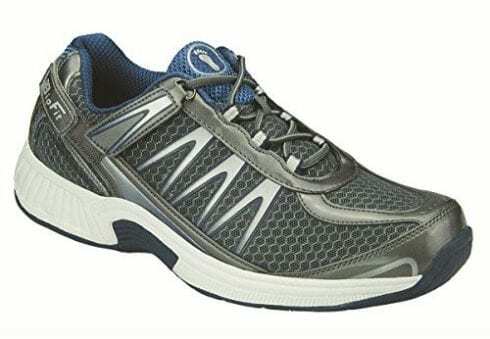 This lace up athletic styled footwear is designed to give added comfort and support to people suffering from foot neuropathy, it is a therapeutic athletic footwear with cushioned insoles and non-skid outsoles that are designed to fit comfortably no matter how wide your feet, and to accommodate feet and ankles that tend to swell during the day. For the person who suffers from foot neuropathy and other foot ailments but wants to wear an athletic styled footwear that is comfortable. The anatomical arch support, gel padded heel seat and air cushioned insole, along with a roomy fit ensure that you get the support and comfort you need for when walking, standing or running. Another great offering from Orthofeet, these sneakers feature everything that you need in an athletic style footwear to remain comfortable and supported throughout the day. The orthotic support offered by the insole, which features anatomical arch support and a heel-seat that is gel padded and will conform to the contours of your feet to reduce pain in both foot and heels, as well as the knees, hips and lower back. The synthetic uppers are flexible and lightweight as are the soles. The soles offer air cushioning which will soften your step reducing the jarring from walking for running, especially on hard surfaced. The extra depth design of the footwear ensures that you get the perfect fit every time and will not put any pressure on bunions or hammer toes. The seam-free interior lining that offers padded foam will protect your feet and are great for people suffering from neuropathy related to diabetes or arthritis. The product is engineered as a therapeutic athletic footwear that offers relief from metatarsal pain, foot pain, knee pain and more and is perfect for sensitive feet. Orthofeet make neuropathic sneakers and the Monterey Bay is one of the sneakers for neuropathy , they offer gel padded heel-seat, air cushioned soles and extra depth in the toe box for the perfect fit and are designed with an orthotic insole for ultimate support. Orthofeet offers a leather upper that is designed to be durable, supportive and ultra-comfortable for those who suffer from foot ailments such as neuropathy, bunions or hammer toes. The extra depth design of the product along with the wide toe box combine to eliminate any extra pressure being put on bunions and other pressure points on the foot. The insole is orthotic and will fit the contour of your foot with an anatomical arch support and gel padded heel-seat adding to the comfort of the slip-on styled footwear. Air-cushioned outsole not only is lightweight but will help to give you a little bounce in your step. The ergonomic stride design is designed to offer your foot stability and will help your foot with its natural motion. Padded foam interior lining that is seam-free is designed with a round heel to offer extra comfort and protection for those with very sensitive feet. 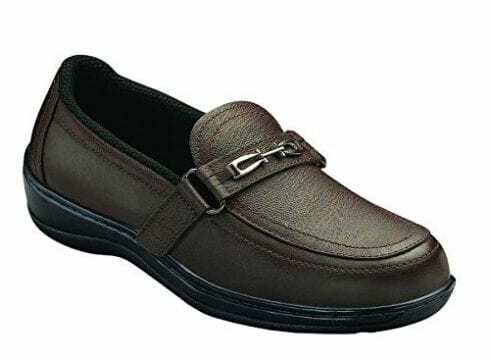 One of the most supportive slip-on shoes for women that suffer from neuropathy and other foot ailments such as bunions, these are perfect for casual wear or even formal or work wear. 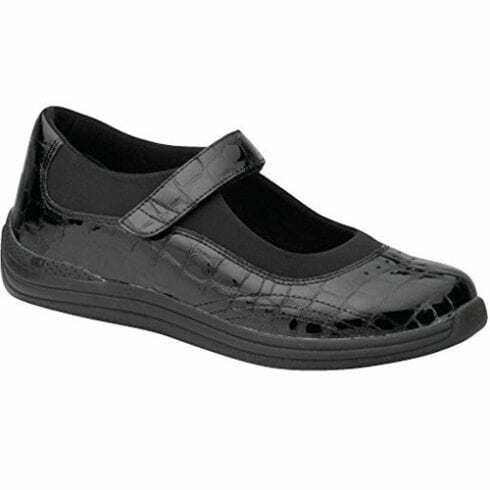 The perfect slip-on footwear for those women who suffer from foot ailments such as neuropathy, bunions or hammer toes. Air cushioned sole, padded foam interior lining and seam free design all add to the comfort and support of the footwear. The anatomical arch support eliminates jarring to hip and knees as well. The rubber sole and synthetic upper of these great shoes add to their durability and style. The perfect shoes for women who suffer from foot problems such as neuropathy, bunions or corns. The contoured orthotic sole of the footwear offers you anatomical arch support which, this ensures that not only your feet remain comfortable and stable, but it also limits jarring to your other joints such as knees, ankles, and hips, reducing back foot and leg pain. The footwear is designed with a lightweight sole and air cushioning which lightens the step and reduces pressure points on the foot. An ergonomic-stride will offer the stability you need when suffering from neuropathy and the extra depth design offers a roomy fit. Seam-free interior lining and a wide toe box add to the comfort level of the footwear and make it perfect for those with sensitive feet. One of the most supportive and comfortable shoes for women on the market to eliminate pain in the foot, leg, hip, and knees. They are comfortable and offer the perfect fit and support as well as stability. Special shoes for neuropathy designed for women who need the extra support and comfort for peripheral neuropathy and other foot ailments. Contoured orthotic sole, seam-free interior lining and air cushioning, wide roomy fit and ergonomic-stride design all come together to provide a therapeutic footwear for peripheral neuropathy sufferers. Dr. Comfort are known to provide shoes for peripheral neuropathy and diabetic neuropathy and provide the right levels of support, stability, and comfort a footwear designed for dealing with these ailments should offer. The leather and mesh uppers are not only lightweight, durable and stylish, they also offer the right amount of support and comfort. The therapeutic footwear provides protection for your toes, feet, and ankles. The elastic lace closure keeps it firmly on the foot providing the support an athletic sneaker should. The seamless lining is padded for extra comfort. The mesh uppers are not only lightweight but also breathable offering your feet the airflow to remain cool and dry throughout the day. The rubber insets at both toe and heel offer additional comfort and prevent jarring which protects not only feet but also other joints such as knees and hips. 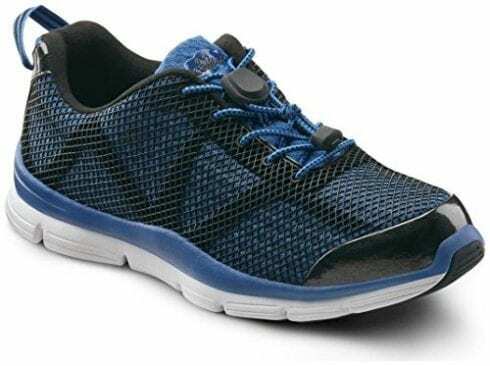 The laces are elastic so this is a no-tie sneaker which is available in multiple colors and offers you the style of an athletic sneaker with all the therapeutic qualities you need when suffering from diabetic neuropathy or peripheral neuropathy. A therapeutic sneaker that offers you the stability and support you need when suffering from peripheral or diabetic neuropathy. Breathable mesh uppers, rubber toe and heel insets, rubber sole and padded lining offer you the greatest comfort to protect your feet and keep them cool and dry throughout the long day. One of the most comfortable orthotic sneakers on the market with an insole that is contoured to offer ultimate comfort and are great sneakers in regards diabetic feet. A contoured insole with anatomical arch support and gel padded heel-seat offer ultimate comfort and support to those suffering from peripheral neuropathy. These features are designed to lessen the pain experienced not only in the feet but also the heels, knees, and hips as well as your lower back. The synthetic uppers are lightweight and also support the ankles. The sole offers air cushioning which helps to lighten your step when walking and the ergonomic-stride design helps to keep your foot stable and let it have a full range of motion. The extra depth, the non-binding design of the sneaker ensures that the foot is not cramped and provides a great fit no matter if your foot swells during the day or not. The wide toe box is roomy to allow your toes room to breathe. The interior is lined with padded foam providing extra comfort and support. Great women’s athletic shoes catering to those women suffering from diabetic neuropathy or other foot ailments such as metatarsalgia, corns, bunions and more. Suffering from neuropathy of the foot or diabetic feet, you need a sneaker that offers you the comfort and support that will alleviate pain and protect your foot. Contoured insoles, anatomical arch support, and gel padded heel-seat, along with a wide roomy construction in both toe box and the sneaker itself all add up to a great neuropathic shoes. Style and comfort combine in this therapeutic footwear that is designed to help people with peripheral neuropathy and diabetic neuropathy. Keep your feet pain free and looking good in these Mary Jane ’s. The leather uppers are durable and the heel measures about 1” with a platform of ½ inches. The construction is not only breathable but also lightweight with padding to add to the comfort and protect the pressure points of the feet. The insoles of which there are two are removable and can be replaced with orthotic alternatives if required. The double depth of the Mary Jane gives it a roomy fit and the Plus Fitting System ensures that you get the most secure fit for your feet which is essential to those suffering from foot ailments. The molded sole will provide for not only great traction, but also added cushioning. The hook-and-loop Mary Jane strap keeps it securely on your feet at all times. The perfect work shoes for women who suffer from neuropathy can wear. Removable insoles can be replaced with orthotics and the molded soles offer great traction and stability. The hook-and-loop Mary Jane straps secure the footwear on your foot and the leather uppers are not only stylish but also durable. This is a condition where you experience pain, tingling sensations or numbness in your feet. This is common amongst diabetics and can be very dangerous if not treated and if you do not wear shoes that are not only supportive but also protective. Apart from wearing the correct footwear to cater to this condition, there are other things one can do to help manage foot neuropathy. Washing your feet with warm water and ensuring that your feet are completely dried off after washing, inspecting your feet on a daily basis to ensure you do not have any cuts or blisters, wearing seamless socks designed specifically to prevent any irritation and not going barefoot or wearing the wrong shoes that are too tight or do not fit properly are all ways to mitigate neuropathy in your feet. Massaging your feet regularly can also help with circulation. Neuropathy is when you have nerves that have been damaged. This can happen in various parts of the body but is quite common in feet. Diabetics tend to lose sensation in their feet when suffering from diabetic versions and this can lead to your feet getting damaged without you knowing it. Diabetics who suffer from neuropathy cannot feel when their feet are cut, wet or cold. The loss of sensation is not limited to the toes but is across the soles of their feet. Special neuropathy footwear will ensure that the diabetic does retain sensation in their feet and protect them from harm. There are other forms of neuropathy and, apart from diabetic versions there is neuropathy caused by trauma or injury to the foot or it can be inherited. Proximal neuropathy is damage to the nerves in legs and arms while peripheral neuropathy is damage that has occurred in the extremities such as hands and feet. Gender can play a role in the likelihood of you experiencing neuropathy or foot pain. Approximately 1 in 4 women experiences neuropathy in their feet while one in five men do. About one in ten people suffer debilitating pain in their feet. Neuropathy in the foot has a number of symptoms that you can easily pick up if you pay attention to your feet. Diabetics are advised to ensure that they keep track of these symptoms as neuropathy in diabetics can be dangerous if left untreated. Symptoms include a tingling sensation in the foot or toes, muscle weakness as well as pain and finally loss of sensation. 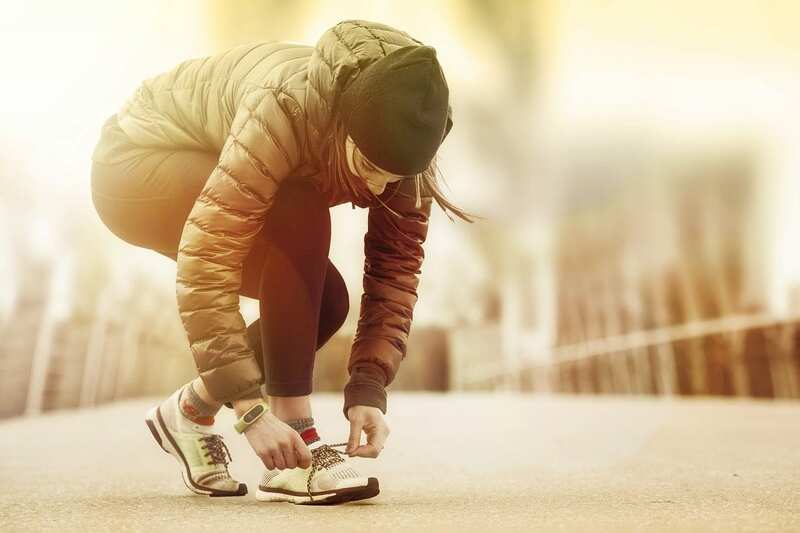 Loss of sensation is common in diabetic neuropathy and is a very serious problem as you cannot feel when your feet are cold, sore or even injured in some way. Regular checks of your feet are necessary in this case. Foot pain is an extremely common problem, especially with respect to people who spend a large part of their day on their feet. Certain kinds of footwear can limit or eliminate the pain your feet. Foot pain can also cause problems in other parts of your body such as your joints and muscles. Knee, hip, and back pain are a common side effect of foot pain. As foot pain will inevitably alter the way you walk, or your gait, getting the right pair of shoes to reduce back pain is vital to prevent further damage. Avoid wearing footwear like flip-flops especially for extended time periods. These shoes do not offer you any support or padding and you will find when wearing them for long periods you will feel extreme pain on your heels and toes. 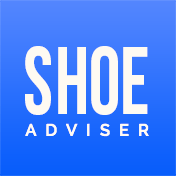 Supporting shoes like athletic styled shoes, formal work shoes or slip-on are great to prevent issues and you need to find a shoe that offers arch support and extra padding are best. If you are going to be doing specific things such as running or hiking be sure to get one that is specifically designed for hikes or runs as well as having the qualities needed to protect your feet, removable insoles that can be replaced with orthotics are a great idea in this instance. The comfort of the product you choose is vital to ensuring that you protect your feet and keep them supported at all times. Arch support is important as is support and cushioning in the heel and toes. A roomy fit is required for this type of footwear. Protection from injuries such as toe boxes and extra padding is also essential. When considering which footwear to choose you need to make sure that you get the right fit. This is one of the most important aspects of choosing the right one. Gender-based footwear is also important as a women’s footwear is designed with the right padding in the right areas and vice versa. The right size is also vital. Try your shoes on directly after work so that you get the right size. If your feet tend to swell up during the day you should get footwear that will cater to this effect. Apart from these aspects you also need to make sure that your shoes are well maintained and if they are worn, replace them. Neuropathic footwear is designed with extra room to accommodate foot ailments, they have thicker soles that are cushioned to give you the added comfort and support you need. 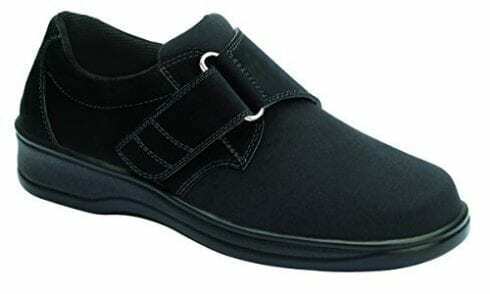 Often these therapeutic shoes offer removable insoles so that you can use orthotic inserts. They will have protective qualities such as toe boxes and extra padding on the toes and heels. Yes, you can get orthotics that are designed to help alleviate the effects of this affliction. Many of the neuropathic footwear items come with removable and replaceable insoles so that you can put your own inserts or footbeds into the footwear. If you suffer from sore, uncomfortable, injured feet or suffer from diabetic or peripheral neuropathy (click here to read the study on neuropathy), the right pair of footwear is essential. Protective, supportive shoes that offer stability and breathability and durability are essential to maintain your feet properly and offer you relieve it as well as a host of other foot ailments. Dr. Comfort Carter is a shoe specifically designed for people who suffer from this foot problem and will provide you with the comfort and support you need to alleviate the pain associated with this. It is also designed to protect feet from other ailments such as bunions and more The shoe is made of lycra. This material is very lightweight and stretchy. The shoe will stretch to accommodate your feet, protecting the pressure points and foot deformities such as bunions, and it will ensure, that no matter how much they swell during the course of the day, they will still remain comfortable. The two-way Velcro closure is not only flexible it will keep the shoe securely fitted to your foot. A padded heel counter and tongue are designed to reduce any irritation that might occur, the heel counter is firm and adds a lot of support to your foot. The toe box is there to protect your toes and prevent any injury, this is especially important for diabetics. The outer sole is lightweight, durable and non-skid (click for chef shoes). 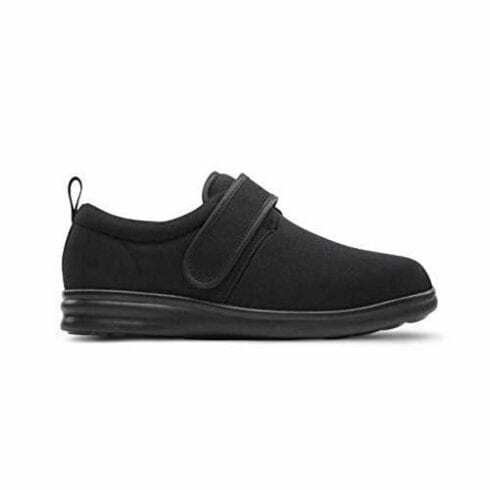 This therapeutic shoe that can also accommodate internal braces and AFO’s is our best choice in neuropathic shoes on the market for 2019. Orthofeet Gramercy Dress Shoes are designed for the man who suffers from foot ailments such as neuropathic nerve pain and general foot pain. It is stylish and can be worn at work or play, keeping your feet protected and comfortable at all times. Leather uppers are durable and stylish while the extra depth of the shoe will accommodate wider feet or those with bunions or corns. Gel padded heel-seat conforms to the shape of your foot and will offer the relief you need from the foot and heel all the way to the knees and back. Air cushioning offers added support and will soften your steps reducing the jarring effect from walking or running. The ergonomic-stride design allows your foot to have a full range of natural motion and offers stability to your foot. The insole is designed to alleviate pain with an anatomical arch support and seam-free interior lining. The foam padding protects pressure points and is best for sensitive or arthritic feet. The shoe is therapeutic in design and will relieve a number of different conditions such as neuropathy – read the study, plantar fasciitis, metatarsalgia, knee pain, as well as heel and foot pain. That makes this our premium choice for 2019. Looking for a shoe that will offer you all the features to alleviate and mitigate the effects of foot neuropathy (click for the study) and pain, without costing you a fortune, you found it in the Grasshoppers Women’s Sneaker. An athletic styled lace-up sneaker that offers you the protection, comfort, and support required. APMA approved lace closure and PureFit adjustability in the shoe ensures that it fits best and aligns with your foot to ensure utmost comfort and support. Cushioning and arch supporting ortholite sockliner offers odor control and the ability of the shoe to wick moisture away. Anti-microbial attributes let you avoid any bacterial infections. The memory foam inserts on the shoe make them astoundingly comfortable and the rounded heels reduce the amount of jarring you experience when walking. The footbed of this shoe is removable and can be replaced with orthotics if necessary. Great features and a great price these are our choice as a great value shoe on our list of the neuropathic shoes on the market for 2019. We hope you enjoyed our article on "The 10 Best Shoes for Neuropathy in 2019", if so, please share and rate it.